That show was easily the most cringeworthy one I've ever seen, the acting is so bad that your own eyes will bleed. Indeed, The Last Kingdom is awesome. I watched season 1 in two days this week. So good! What is the show about. Is it similar to vikings? I sometimes had a hard time watching the last few episodes because the main character is sooo freaking reckless & stupid in his decisions sometimes, but I guess that's how it is meant to be. Edited by Blizzardboy at 06:50, 25 Jul 2016. It's actually sort of an unofficial sequel to Vikings, since it takes place one generation later when a lot of England is already conquered. Wessex is the Last Kingdom. If you like Vikings, you'll like the Last Kingdom. The Last Kingdom focuses on the events more on the perspective of Wessex, and Vikings focuses more on the perspective of the vikings. 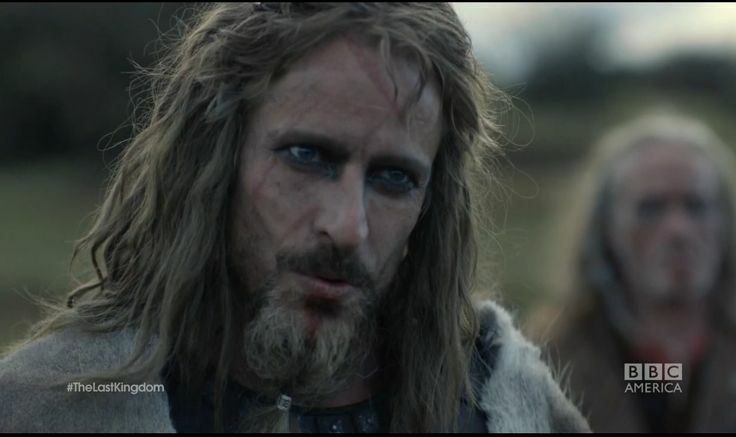 The main character in The Last Kingdom is a Saxon who was captured by the Danes when he was young and then eventually found himself in Wessex, so he sort of lives in both worlds. hell yeah, south park's back on. Any good series on Netflix anymore? Friend at work suggest me to watch Reign and it took me about 3 episodes to realise "oh man, this is a girls shows", in again, that was pretty plain obvious. Still watching it, who knows why, when all I do is wonder when this Twilight will end and we see some action. Don't be too proud of this technological terror you've constructed. The ability to destroy a planet is insignificant next to the power of the Force. Nahh, this all is not interesting for myself. Thanks for notifying I've just catched up! The "South Park" - is that a stupid idiotic cartoon, phhhhhhhhhhhe. A brainless propaganda it is. You'd be surprised how much logic the series has, actually. But it's beyond the grasp of understanding for our dear h4troll here. I wonder when the last episode of the current season is going to air. man, that dude cannot even count to potato. ffs. It can't even count to firetruck. Nah - South Park is a perfect example of the modern "controversial" propaganda in Uncle Sam, but I think in the beginning there was a less of propaganda, i.e. the first season. The same - "Griffins", the same "Simpsons", even the "Futurama", but I think the Futurame have a smallest amount of propaganda comparing to the above mentioned cartoons. but this is only IMHO and NOT a comprehend analysis . again with the propaganda crap? lol, Family Guy is propaganda. sure. Look up the George Bush related jokes in Family Guy. Yeah, of course, perhaps I am wrong and there is no propaganda content (that is Uncle related) that can be found in the above mentioned cartoons. I am sorry . Westworld started out really good. I remember the original movie from my childhood, I had high expectations with names like Anthony Hopkins, Ed Harris, Evan Rachel Wood and I wasn't disappointed at all.